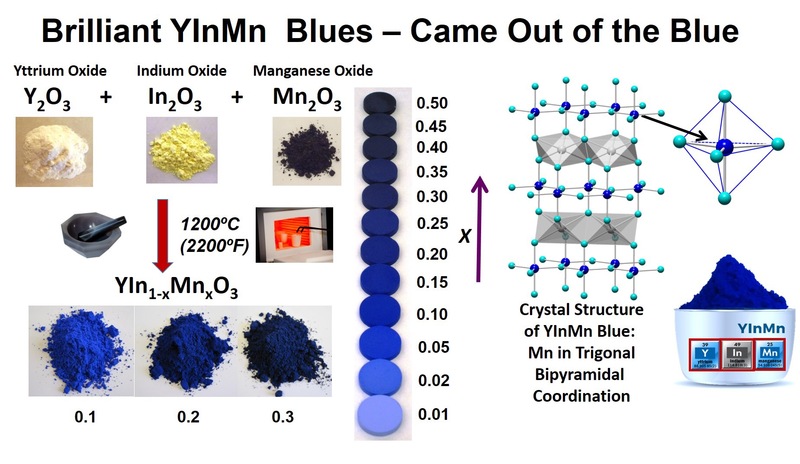 When #YInMn blue was first discovered, Mas Subramanian’s team didn’t stop with just one compound. True to nature Mas and his team, went on to tweek the composition to see if that would affect the color, and sure enough it did and how beautifully so. Here is a spectrum of blues shades by just tweeting the manganese content in the compound. They are all shades of YInMn Blue, and they are such a joy to make into watercolor paints! On May 5, The College of Science, Oregon Sate Univesity, hosted “The Colorful World of Pigments,” a public event as part of SPARK, Oregon State’s yearlong celebration of the intersection of the arts and science. This series of events celebrated the meeting point of science, art, color and cultural trends in Mas Subramanian’s groundbreaking pigment discovery of #YInMn blue. 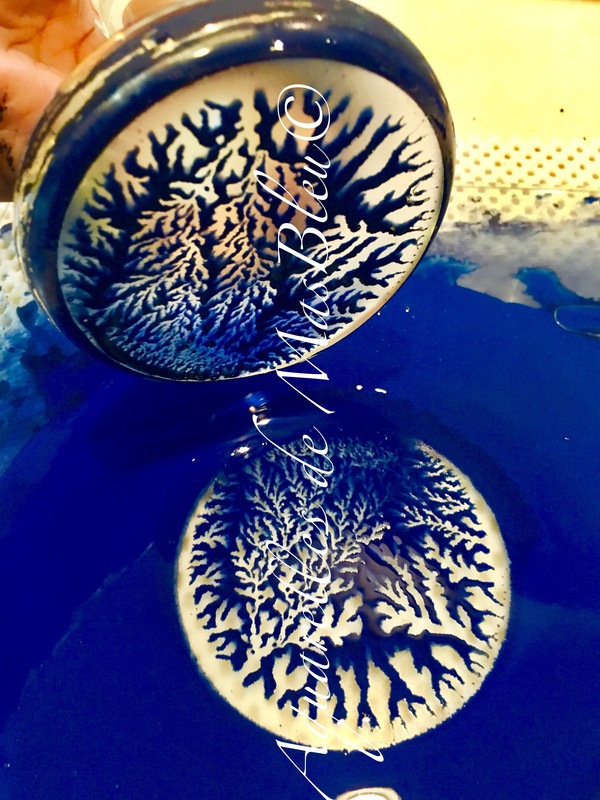 This blue pigment discovered by Mas Subramanian and his research team at Oregon state university’s chemistry lab has captured widespread attention in various fields including fashion and industry not to mention the obvious fields of science and art. A panel discussion featured experts from Crayola, Nike, Shepherd Color Co., Harvard Pigments Museum and others. The highlight of the event was when Crayola’s CEO, Smith Holland announced that crayola would be introducing a new blue crayon color inspired by #YInMn blue! Here are some pictures from the event!!! It was an event to remember!